Adult American cockroaches average between 1.4” to 1.6” in length, but they can grow to exceed 2”. American cockroaches are reddish brown in color with a yellow band that outlines the area behind their head. Both males and females have wings and can fly short distances. American cockroaches have the ability to bite, although they rarely do. If a bite occurs, it should not be problematic unless it gets infected. There are four telltale signs of an American cockroach infestation. Homeowners will see the fast-moving insects fleeing to dark areas. American cockroaches leave behind droppings in the dim areas in which they hide. These small droppings are blunt on the ends and have ridges on the sides. 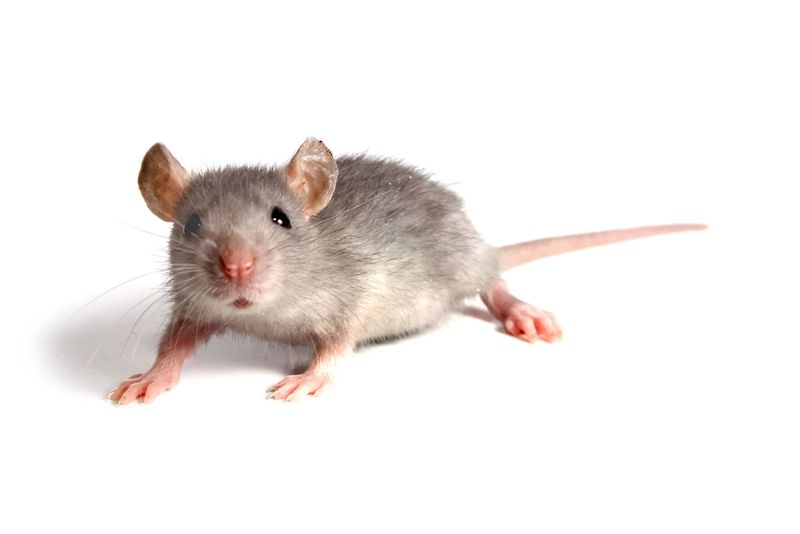 They are often mistaken for mouse droppings, so it’s important to contact a licensed pest control professional for proper identification. The presence of egg capsules, which are about 8 mm long and dark-colored. Egg capsules are sometimes glued to a surface near food sources, and can be found in basements, laundry rooms and kitchens, as well as behind appliances or underneath cabinets. 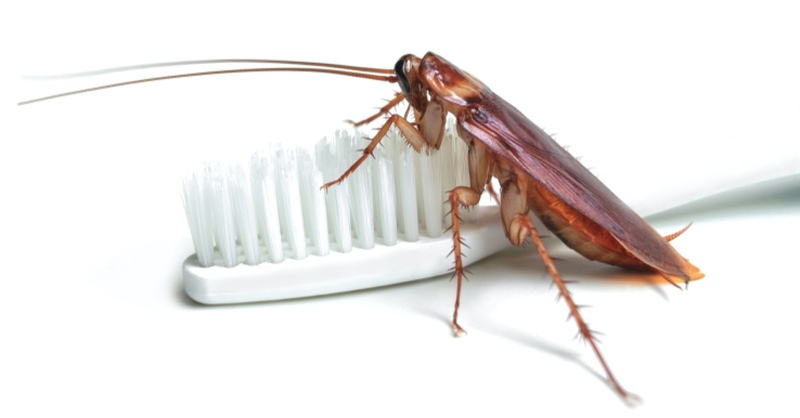 The American cockroach will produce a pheromone that some people describe as having a “musty” smell. People with sensitive noses may notice this odor around the house. Cockroaches are some of the most resilient pests in the world. They exhibit unique survival tactics, including the ability to live for a week without their head. This makes getting rid of American cockroaches a difficult task for homeowners to do themselves. People can take steps, however, to mitigate American cockroach problems through barrier exclusion and cleanliness. Barrier exclusion involves preventing cockroaches from entering the home through small cracks in walls, gaps near electric sockets and switch plates, and up through drains. Use a silicone-based caulk to seal these openings. Having a clean and sanitary home will also make it less inviting to American cockroaches. Homeowners should keep counters, sinks, tables and floors free of clutter and crumbs. Don’t let dishes pile up in the sink or spills marinate on the counter. It’s also good practice to store food in airtight containers and avoid leaving pet food out in the open. Some other ways to prevent American cockroaches include vacuuming at least once a week to remove food particles, ventilating crawl spaces to prevent moisture buildup and running water periodically in spare bathrooms to keep u-traps filled. Questions? Problems? ClearDefense Pest Control can help! Please contact us HERE. Fleas are small, wingless insects that feed on the blood of animals and people. Fleas do not normally live on humans, rather on cats, dogs and wildlife. They do however bite people who handle infested animals. Fleabites cause small, red, itchy bumps, and are most often found on the ankles and lower legs of humans. For relief from itching wash with soap and water, then apply ice. Bathe and brush pets regularly. Soap acts as a gentle insecticide and helps control light infestations on your pet. For pet infestations that are more significant, consider using orally applied veterinary products for flea control. Vacuum under furniture, cushions, along walls and pet bedding. Discard vacuum cleaner bags regularly. 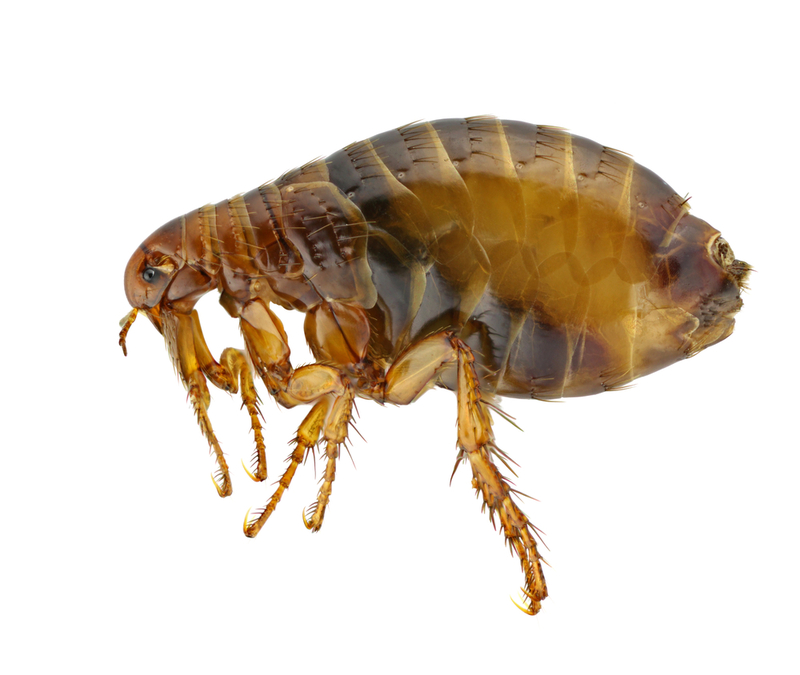 Fleas can continue to develop inside vacuum cleaner bags and re-infest the house. Avoid flea collars as these are often impregnated with toxicants that are harmful to humans. Exclude bats and wild birds from your home by maintaining good bug screens over air vents in your attic. Maintain chimney structures so that birds and bats cannot use them for roosting or nest sites. These pests can carry their own fleas. An outbreak of human fleas in the immediate area should be taken seriously, particularly in schools. Contact professionals and ask for an IPM solution. Flea populations can be monitored with a simple homemade apparatus. Place a little dish detergent into a shallow pan of water. The detergent acts as a wetting agent, which breaks water surface tension. Place the pan on the floor overnight, and position a bright light source about five inches above the liquid surface. Fleas attracted by the light, fall into the detergent solution and drown. Trim lawns and weeds to create a drier, less inviting environment for flea larvae. Avoid piles of sand and gravel around the home for long periods. Avoid over-watering lawns. Monitor pets closely for fleas. If you suspect a flea infestation, please contact ClearDefense HERE. We want to help! Earwigs are a fairly well-known insect, from folk lore if not from actual experience. The earwig is the insect reputed in superstition to purposefully crawl into the ears of sleeping persons for the purpose of burrowing into the brain to lay eggs. Of course, there is no truth to these tales, though earwigs, like moths, beetles, cockroaches, ants, and flies may wander into our ear canals by accident. Earwigs are fairly common and are rarely noticed except after wet weather. Earwigs are relatively easy to identify by the prominent pincers or forceps on the end of the abdomen. On females the pincers are fairly straight, while male pincers are more curved and caliper-like. These pincers are used as both offensive and defensive weapons. Though they may try to pinch if captured and handled, they do not harm people. The common earwig is about 5/8-inch long and dark brown with a reddish head and pale yellow-brown legs. 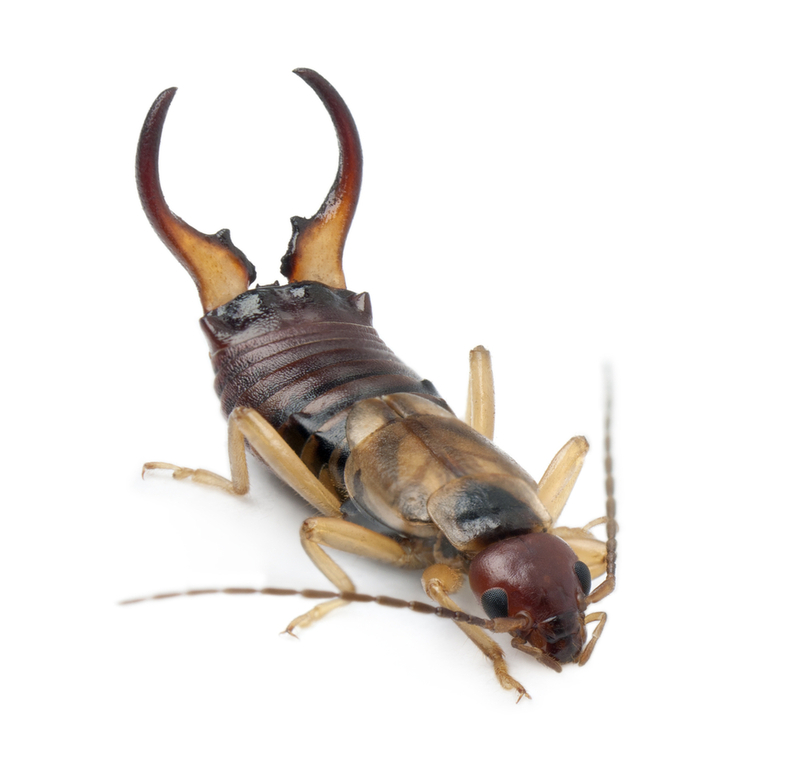 Earwigs are outdoor insects usually found in damp areas, such as under mulch, dead leaves, logs, and piles of firewood, boards, stones and other debris or in rotted wood where they feed on moist, decaying plant material. Earwigs occasionally attack living plants, including vegetables, flowers and ornamental plants. The earwig as a household pest is an accidental invader. They enter houses either by accident or when seeking shelter, especially in the fall or during periods of prolonged dry weather. Earwigs inside the house do not cause any harm or destruction. They are an annoyance or nuisance because of their presence. If disturbed, earwigs may produce a noticeable foul odor. Earwigs found inside the house can be swept or picked up and discarded. Reduce outdoor lighting that attracts earwigs around doors and windows. Eliminate damp, moist conditions near the house such as around faucets and air-conditioning units. Channel water from rain gutters and spouts away from the house foundation. Consider removing landscape mulch (wood chips, gravel, etc.) from against the house. Prevent entry by using caulking compound, putty and weather stripping around doors, windows, pipes and other entry sites, especially at the ground level. If you suspect an infestation, please contact us HERE at ClearDefense Pest Control. We’ll be happy to help! 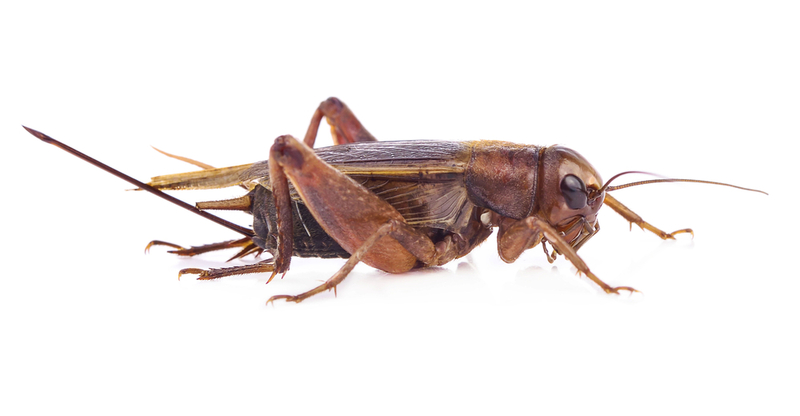 Crickets — How can you get rid of them in and around your home? If you’re seeing crickets inside your home, the serious predators are sure to follow. So get rid of those crickets—fast. Here’s what not to do: Don’t empty a can of bug spray on those creepy crawlers. Sure, you’ll drown the ones you can see, but their friends will simply sidestep the chemicals when they come out of their hiding places. A better strategy is to find out where they’re hiding and lure them out with granular food bait that will trap them. You also can use sticky traps or concoct your own traps using a jar containing some water and molasses. Part 2 of that strategy is to keep the chirping pests from getting inside in the first place. Crickets may seem like benign little creatures, but they’ll eat through everything from wallpaper glue to wool to silk. And they’ll attract hungry scorpions and spiders. To keep them outside, you have to find them. They live in voids, like under those decorative boulders in your yard, in your sprinkler system’s valve box, or under the sidewalk and patio. Anywhere there’s a space between the ground and another object, you’re sure to find crickets, which love moist, cool hiding places. If you find a nest and spray it with a pest spray, be prepared to watch what looks like a river of the bugs pour out of it. More than 1,000 crickets can cram into one tiny nest. Sealing gaps in the foundation also will stop crickets, scorpions and other pests from coming indoors. While you’re sealing holes, search for other places where critters can come into the home from outdoors—the roof line and entry points for plumbing and electrical connections, for example. Trim bushes and tree branches so they don’t hang over the roof and drop bugs in a place where they can crawl through crevices and into the attic. Even holes in window screens or a gap between a door and the floor are invitations for pests to walk right into your home. To the best of your ability, create a barrier anywhere where insects could get in out of the sun. If you do that, you’ll naturally bring your pest population down. If this seems like a lot to keep up with—and most would agree that it is—contact us HERE at ClearDefense Pest Control. We’d love to help! Centipedes are easy to spot by their elongated, worm-like body with their many pairs of legs. They can actually have anywhere from 15-177 pairs of legs with one pair per segment, depending on the species. Interestingly, centipedes always have an odd number of pairs of legs. Centipedes typically overwinter outdoors in protected situations and lay their eggs during the summer, usually in or on the soil. Some have been known to produce 35 eggs over a period of days. If handled roughly, some larger species can inflict a painful bite that can break human skin and cause pain and swelling, similar to a bee sting. The large Scolopendra can inflict a very painful bite and should be handled with great care. Centipedes are found in areas of high moisture, such as loose bark, in rotting logs, under stones, in trash or piles of leaves and grass. 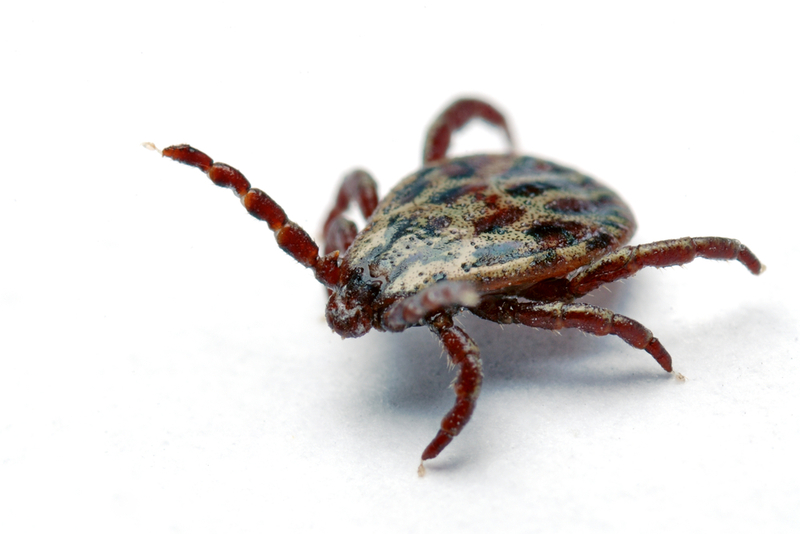 When they invade homes, they are most commonly found in damp basements, crawlspaces, bathrooms or potted plants. All centipedes have very poor eyesight and track their prey through the use of touch and smell. They are primarily carnivorous and obtain most of their moisture needs from their prey. Most house centipedes are nocturnal, and prey primarily on flies, spiders and sometimes plant tissue, causing injury to the plant. 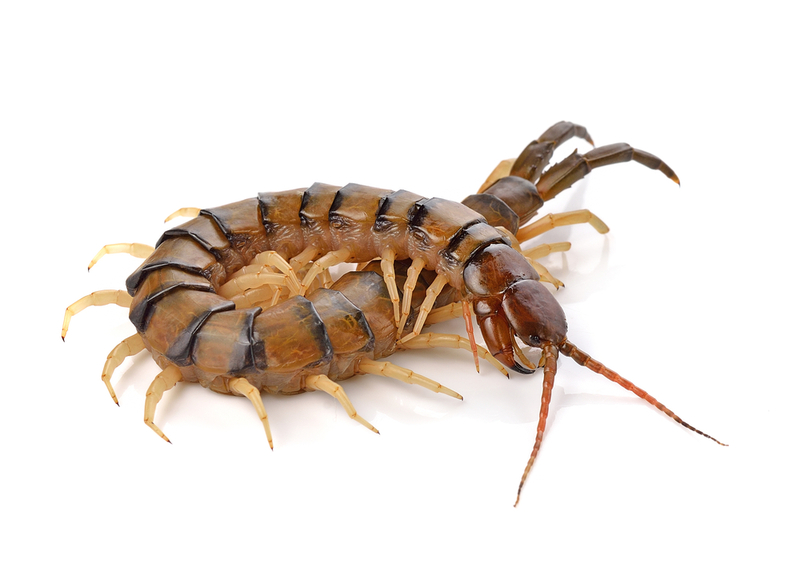 Centipedes are generally considered nuisance pests, as they do not pose significant health or property threats. However, all house centipedes have poison jaws with which they inject venom into their prey. Remove piles of leaves and grass clippings, logs, stones and rocks on your property. Provide adequate ventilation in basements, attics and crawl spaces. Seal holes, cracks and gaps that enable outdoor centipedes to get inside a home. If a centipede is found indoors, you can get rid of it with a vacuum. If you suspect an infestation, please contact us HERE at ClearDefense Pest Control. We’ll be happy to help! VARROA MITES: A DANGER TO BEES – Untreated they can wipe out a bee colony within one to three years: Varroa mites are regarded as the greatest pest to the western honeybee. This animation explains how the tiny parasites threaten bees and explains what beekeepers can do about them. Beekeeper Ernst Caspari has 20 colonies of bees that collect honey for him, and he needs to protect his bees against their greatest enemy, the Varroa mite. This parasite, measuring one to two millimetres in length, is a major cause of bee losses during the winter. THE BLACK WIDOW SPIDER is active when the temperature is 70 degrees or higher, but can survive lower temperatures with the right conditions. 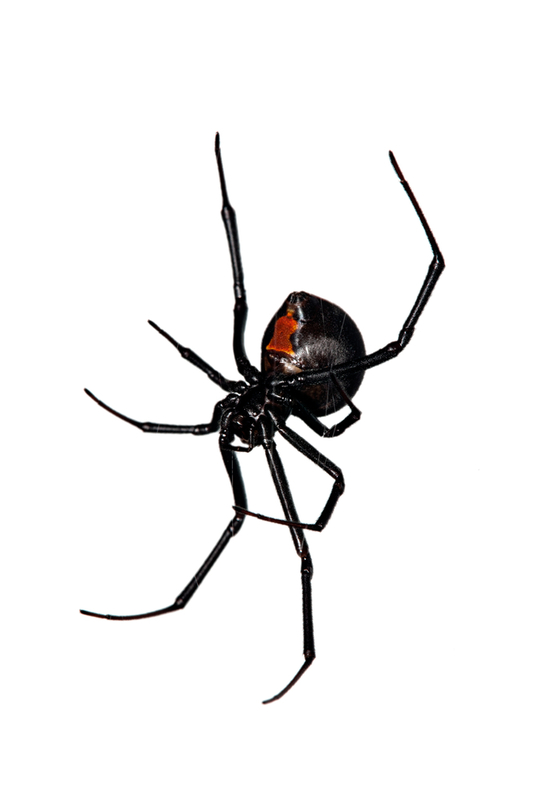 The black widow spider spins irregular webs, which is built at night near ground level. Once complete, these spiders hang upside-down in their webs. Bites will only cause localized pain, however, if a substantial amount of venom is injected it leads to pain, muscle rigidity, vomiting, and sweatinglasting 3 to 5 days.The venom of the black widow spider is reported to be 15 times stronger than a rattlesnake’s although most people who are bitten by the black widow spider suffer no serious damage. The bite can be fatal to small children, the elderly or the infirm. Reduce clutter in basements and garages to eliminate hiding spots. When spider webs are visible, use caution before putting your hands or feet in that area. Shake out shoes before wearing them. Store firewood at least twenty feet from the home and five inches off the ground. If you suspect a spider infestation, contact us HERE immediately! Springtails are one of the most common insects in the environment, although they are inconspicuous and are often overlooked. When suitable habitat occurs, they can develop tremendously large numbers and are one of the most abundant insects. You may find millions of springtails naturally in about 2.5 acres of land. Springtails can be a nuisance when they occur in and around homes and other buildings. These insects are very small, commonly between 1/16th- and 1/8th-inch long. They have moderate length antennae and are usually slender, elongate insects, although there is a group of springtails that is round and stout. Most springtails are dark-colored, brown, grey or black although some species are white, and some are even iridescent and brightly colored. Springtails are wingless and do not fly but they can jump, using a specialized forked appendage called a furcula, located underneath the abdomen. When not in use, the furcula is tucked under the body, set like a mouse trap. When it is released, it extends down rapidly propelling the springtail forward, jumping up to several inches. Springtails are associated with damp conditions and organic debrisand are found outdoors in soil, leaf litter, lichen, under bark, decaying plant matter, rotting wood, and other areas of high moisture. They are found in many different habitats, feeding on fungi, pollen, algae, or decaying organic matter. Springtails are also commonly found in the soil of houseplants. However when conditions are suitable, you can also find springtails indoors, especially in bathrooms, basements, and kitchens. 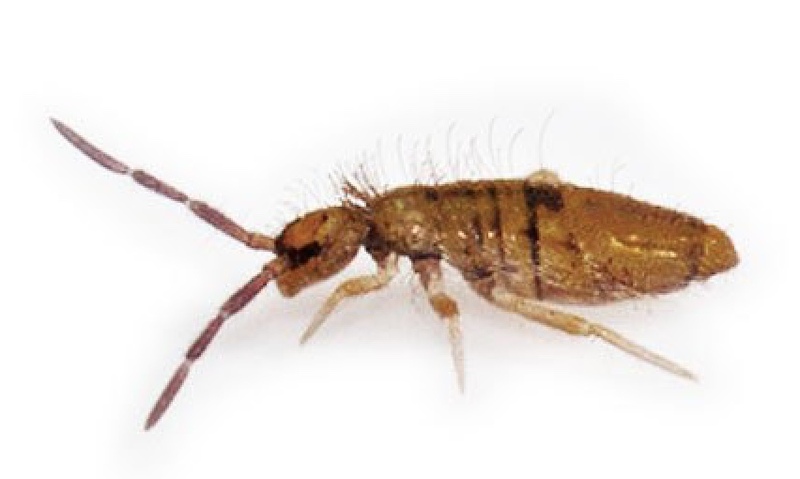 There are several reasons why springtails may be found indoors. They are commonly found in areas of high moisture; e.g., around plumbing leaks, areas of condensation and damp basements. If excessively moist conditions occur near a structure, that can encourage large numbers of springtails which may move indoors. High springtails numbers can be associated with mulch. It is also possible when it is excessively dry outdoors that springtails may move indoors to find moisture. Springtails can also be found in the soil of overwatered houseplants. If you are finding just a small number of the critters, just ignore them or physically remove them by hand or with a vacuum. However, if you are seeing persistent number of them, they are associated with a moisture problem. The best management is to dry out these areas with a fan or dehumidifier, because springtails do not tolerate dry conditions. Also remove any wet wood, especially if it is moldy. Make any structural changes to correct the moisture problem. If springtails are moving indoors from the outside, check around the house for moisture problems. This could include rainspouts that do not carry water far enough away from the foundation, landscapes that slope towards buildings, excessive irrigation, or non-functioning drainage systems around the building. It could even be a moisture problem with the roof. Correct existing moisture conditions to decrease the number of springtails. When necessary, remove or reduce the amount mulch that is around the foundation of your home. If you have a problem with them in houseplants, let the soil dry out and water less frequently but more deeply. If you have questions or concerns about springtails or other pesky bugs, contact us HERE at ClearDefense Pest Control. We can help!